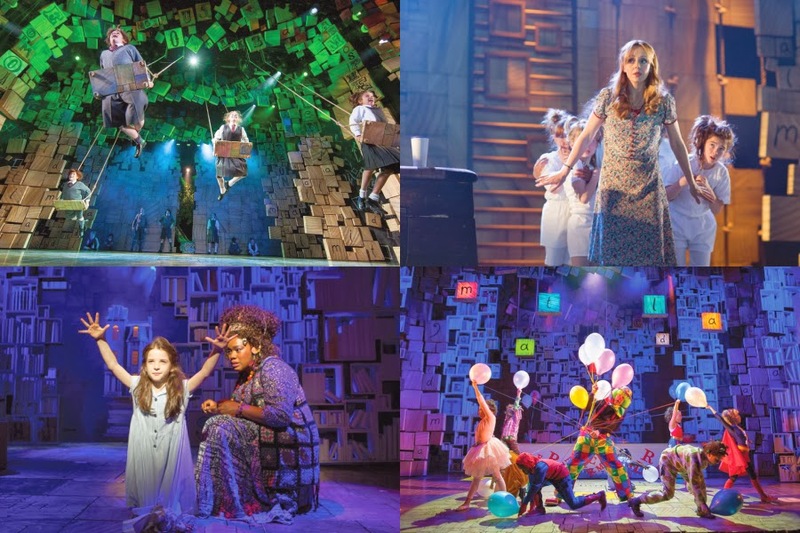 The Plot: Matilda is a very special and bright little girl whose parents don’t appreciate. In school she becomes friends with a sweet teacher, but both have to deal with the terrible Miss Trunchbull, the school director who hates children and everyone else. 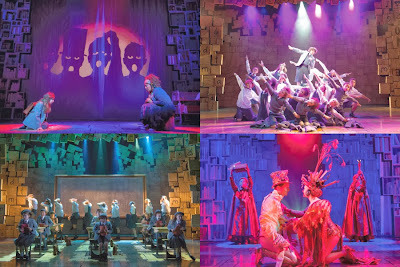 Only Matilda’s special powers can save them from the hands of Miss Trunchbull. The Show: As soon as we enter the theatre we are inside a magic world of cubes with letters and it’s impossible to resist the urge to find words around the stage. The cubes are the main attraction of the set and work perfectly into the context of the show. In fact, set and costume designer Rob Howell reveals a fantastic imagination and director Matthew Warchus takes full advantage of his work. The entire show runs smoothly. Everything works in a simple magic way that conquers us from beginning to end. Warchus knows exactly how to make the story work and the fact that he doesn’t make it kind of childish is remarkable. The way the sets move, the way the action seamlessly flows with the choreography (a great work by Peter Darling), the balance between the comedy and the drama, the fabulous theatre of shadows… Warchus is an inventive genius! I confess I didn’t like the score when I listened to the cast recording, but it works well on stage and my favorite song, “When I Grow Up”, is a part of a true magic theatre moment with the kids playing on the swings. I also enjoyed the funny “Telly” sung by a flawless James Clyde as Mr. Wormwood, Matilda’s father. 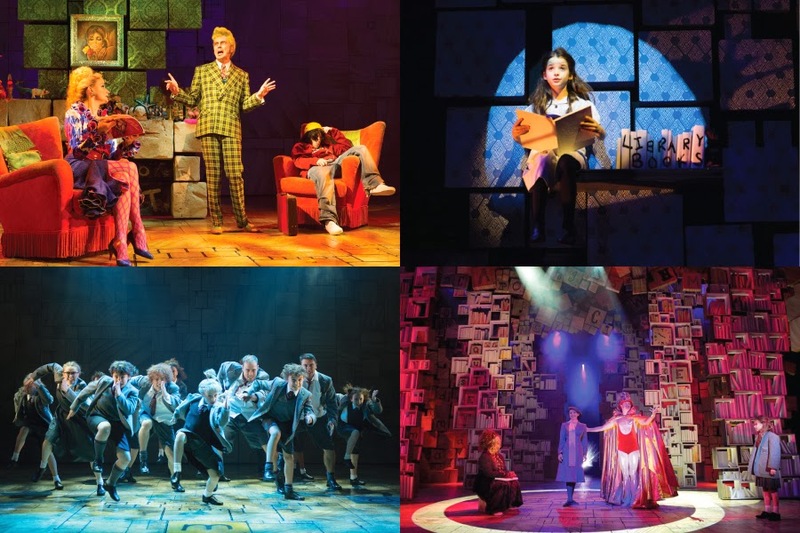 As Matilda’s mother, Kay Murphy and her Latino dance teacher, Joshua Lay, are a riot with “Loud”. 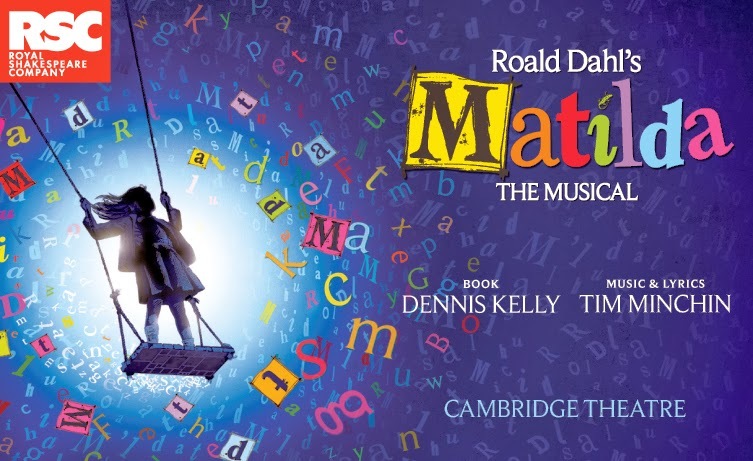 The Cast: The delightful cast is lead by the talented Cristina Fray as Matilda; she manages to make her character appealing without being too sugar sweet and delivers her song with all her heart. Alex Gaumond is perfect as the gigantic and hilarious Miss Trunchbull, giving his all to the numbers “The Hammer” and “The Smell of Rebellion”. As the nice teacher, Haley Flaherty is sweet and tender. Although I already mentioned them, James Clyde and Kay Murphy as Matilda’s parents are a match made in heaven! A terrific group of young kids, including the amusing Emily Robbins and Daniel Dowling, together with the “older kids”, brings life and power to the production helping to make this a terrific trip to the theatre. Children and grownups will all have a great time with this touching, entertaining and magic show. I sure did! It’s highly entertaining and imaginative. Don’t miss it!